Life is cheap in China’s northern coal mines, especially Zhang Baomin’s miserable hardscrabble existence, but good luck trying to cash him in. The mute miner has a titanium skull and a quicksilver temper. 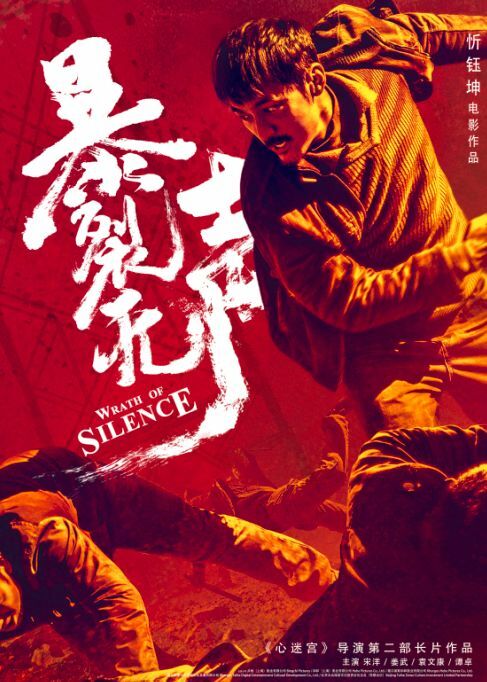 When his young son mysteriously disappears, Zhang return home to search for him, one brawl at a time, in Xin Yukun’s Wrath of Silence (trailer here), which screens during the 2018 Seattle International Film Festival. Zhang has been mute since he accidentally bit his own tongue off during a youthful melee. Lately, he has been working in a mine in a neighboring district, to avoid awkward encounters with the mutton-house proprietor, whose left eye was blinded during a violent tussle with the miner. There is not a lot of love for Zhang among the villagers, but they still have a good deal of sympathy for him when Lei mysteriously vanishes while tending his sheep. The dour Zhang hits the pavement, showing Lei’s picture around. That is how he finds himself at another mine, just when goons from Chang Wannian’s mining empire come to break up the joint. They weren’t counting on a hothead like Zhang being there. Zhang’s subsequent meeting with Chang is supposed to intimate him into passivity, but instead, it leads the brawling father to suspect the mogul is responsible for his son’s disappearance. He will definitely follow up on that, but not in a very subtle manner. To add further complications, Chang’s witness-tampering attorney Xu Wenjie is under investigation, which turns up the pressure on him. Wrath could very well be the most violent socially-aware class-conscious film possibly ever produced in the history of cinema. Compared to Zhang, Wolverine is a hand-wringing doormat. There are times when Xin is clearly riffing on the hallway fight in the original Oldboy, but he tries his best to top its brutality. Yet, the corrupt and arbitrary nature of the contemporary Chinese legal system and social structures is always readily apparent. 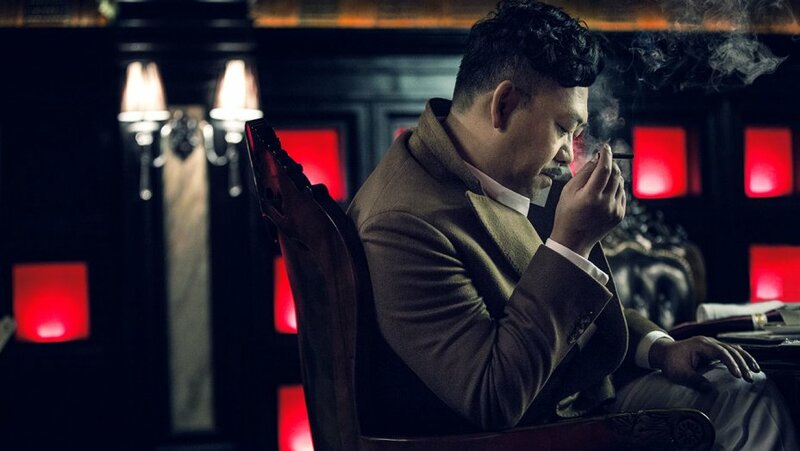 In fact, Wrath is closely akin to Chang Zheng’s Explosion, both stylistically and ideologically, but it is more action-driven, by at least a factor of five. Even though he never speaks a peep, Song Yang is absolutely riveting as Zhang. You can practically see the black smoke coming out of his ears, in what could very well be his best performance to date. As Chang, Jiang Wu manages to chew even more scenery than he did in Shock Wave, which is definitely saying something. Yuan Wenkang’s Xu is quite a cold fish, but that is what the film requires—and he delivers accordingly. Xin’s previous film A Coffin in the Mountain was more of a twisty noir in the spirit of early Coen Brothers, but Wrath has a similarly keen sense of place. He hails from Baotao, Inner Mongolia, so he clearly has a deep understanding of the people and the hardships they face. Yet, there is so much hard-charging mayhem, it is easy to forget you are watching an incisive critique of Chinese inequities. Given the combination of amusement park violence and unvarnished social realism, it is not hard to fathom why a Party apparatchik decided Wrath was bad for business and had it spiked from domestic distribution. Of course, that is also a sure sign of quality. Very highly recommended, Wrath of Silence screens tonight (6/8) and Sunday (6/10), as part of this year’s SIFF.